NOTICE! We are discontinuing the Classifieds Service that has been in place at www.endurance.net/classifieds. Effective March 31. ** You may still use this page to view existing ads, but please do not register or place new ads. This site will be taken down April 30. If you have an ad on that page and wish to continue it, please resubmit it using the new (below) instructions. This page will list 'For Sale' advertisements for one month, in the order of date of submission. There is no charge for this service. All ads will be screened and approved by Endurance.Net, and removed after 30 days. If you wish to renew an existing ad, contact Endurance.Net. 4) Contact information - name and location, email, and phone number if desired. 5) Two photos. Please reduce these to 5 x 7, at 72 dpi if you can. Email this information to Endurance.Net and it will be posted asap. Purchased new, never ridden. Wide tree (not a flex tree), Full QH bars, extra-lg pommel. Well-padded 16” Western seat. Stirrup leathers (included) loop over saddle bars. 1” fore-aft adjustment space. Approx. 15 lbs .Adjustable panels, 22” contact surface. 17 inch Black-mahogany hand dyed lightweight trail saddle on wide tree with round pommel and a horn, extra padded seat cutback skirts. Was ordered and purchased new from Synergist. Saddle # 3108, by calling Synergist they can give you the complete workup on their saddle. Saddle has barely been used. Was built in 2016 for my husband that can't ride anymore. 2018 Stonewall Saddle with Living Bar and accessories: English and Western rigging, both small and large seat, and both short and long fenders. Less than 100 miles. $2500 for all. 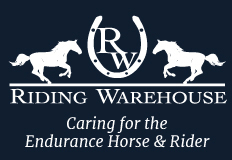 Skito pads, leathers, dressage girths, Sensation and Startrekk accessories and more available . All sales final, photos and more information available on request. Free US shipping on two or more items! Paypal and check/money order accepted. Accessories: Large cantle for Sensation Harmony Element or Tundra, $50 . External panels for Sensation Hybrid/Chinook, $90 . 3X cantle and 4X pommel bolsters, $20 each. Slim E-bar hanger, $40 . Sensation padded breastplate, black, pony size. Measurements: Center chest to saddle ring, 19.5inch min to 32.5inch max. Center chest to girth ring, 12.5inch min to 17.5inch max (NB these are the actual measurement of the straps, allow a little wiggle room on either side please). New, $65. 5X Sensation logo saddle covers, $10 each including shipping, or free with other items . 1 set of -G3- buckles on nylon loops (to go on rings of saddles with removable rigging), $15 . Barefoot 2inch leathers, black, $25/pair 2 new 1 used ($20) . Barefoot economical Western stirrups, new in bag, 2x brown, 1x black, $25 each . 1X Startrekk wood Western stirrups with black treads, beautiful wood bell stirrups with wide footbed, $50 . 2X Icelandic safety stirrup irons (stainless steel, S-curved branches on both sides, offset eyes), new, $40/pair . Startrekk Comfort pommels (all colors), starting at $25, contact me to see if I have what you need . Startrekk Western (with horn) pommels, 1 each black and brown nubuck, #3 size, new, $65 each . Startrekk Western (with horn) pommel, 1 size 2 in black, has been in a saddle, $55 . NB the Startrekk pommels are all the older style. . 1 set black 2cm Velcro-on panels for Startrekk Comfort Shorty. $50 . Buckle-at-the-bottom English leathers made by Startrekk: Black nubuck: 1X Med, no sleeves, $30. 1X Long, missing one sleeve, $30. . Brown nubuck: 1X Medium with sleeves, well-used but sound, $20. 1X Long, new, no Velcro sleeves, $30. . Toklat Woolback girth with elastic both ends and Ds for breast collar, 2inch, $40, NEW . Premier dressage leathers, dark brown, $30 (like Wintec Webbers, but leather), NEW . Montana Cincha mohair string Western cinch, 32inch, $30, Montana Cincha mohair string dressage girths (all new and natural in color unless otherwise noted), $55 each: 2X 22inch with leather buckle backing / 1X 24inch with neoprene buckle backing / 1X 24inch black/natural with neoprene buckle backing / 1X 24inch black/natural with leather buckle backing / 2X 32inch with neoprene buckle backing .